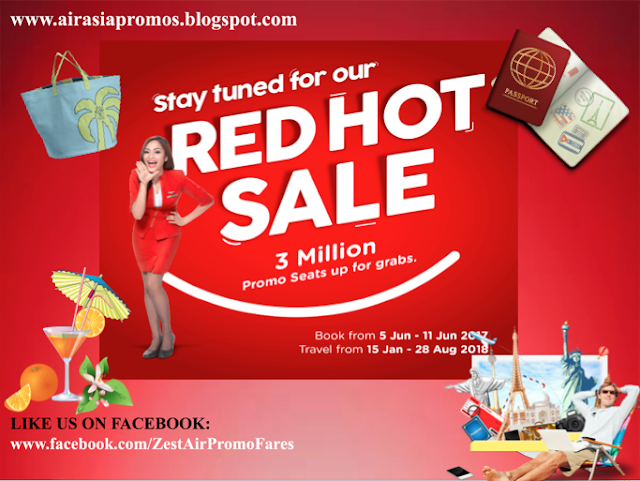 Red Hot Sale 2017: Be ready for this newest announcement from AirAsia! Head to AirAsia's website on June 5, 2017 (at 12 midnight) and take part of their Red Hot Sale! But not just that, those AirAsia BIG Members will be given a booking priority for 24 hours! So you have take advantage of that being a member. Travel period will be for next year, 2018. Specifically from January 15, 2018 to August 28, 2018. 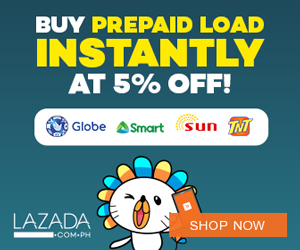 There are about 3 Million promo seats up for grabs so be stay tuned and make sure you have a fast and reliable internet connection on the day! If you're not an AirAsia BIG member, yet, will give you the link below. Do you have any idea on how cheap the tickets are? Will give you some sneak peeks of the fares that you might be interested to book. And we are very sure you will get stunned with how low the fares are especially domestic flights. Are you ready? Let's check! RED HOT SALE booking period: 5 June 2017 - 11 June 2017. Not an AirAsia BIG member? SIGN UP HERE. Those above all-in fares are just a sneak peek on how cheap the plane tickets are. And yes, that less than Php 20 for a ticket fare is real! Of course, if you're targeting an international flight, AirAsia is also offering cheaper fares for you for a travel period for next year, 2018! So just make sure you are ready when the clock hit 12 midnight on June 5, 2017! Again, make sure you are an AirAsia BIG member to take advantage of the 24-HR MEMBERS-ONLY PRIORITY BOOKING! 24-HOUR MEMBERS-ONLY PRIORITY BOOKING!